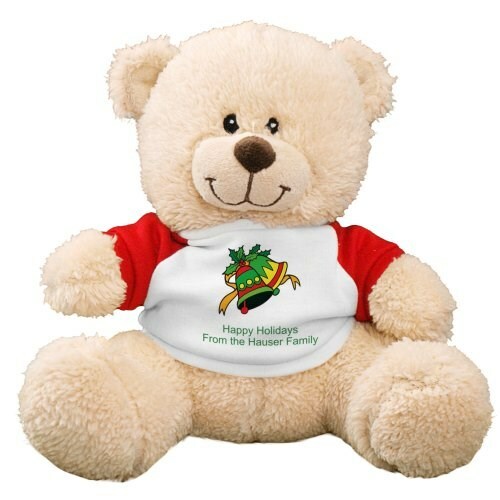 Happy Holidays Teddy Bear - 11"
Give the warmest wishes this holiday season when you include this festive, Christmas teddy bear. This yuletide design is available on our 11" Sherman Teddy Bear. Sherman features a classic teddy bear look and wears a festive white t-shirt with red sleeves. His is a super soft bear with contrasting fur on the inside of his ears and his snout. Free personalization of any two line message is included. Free gift wrapping and a free gift card are also included to create a thoughtful presentation.